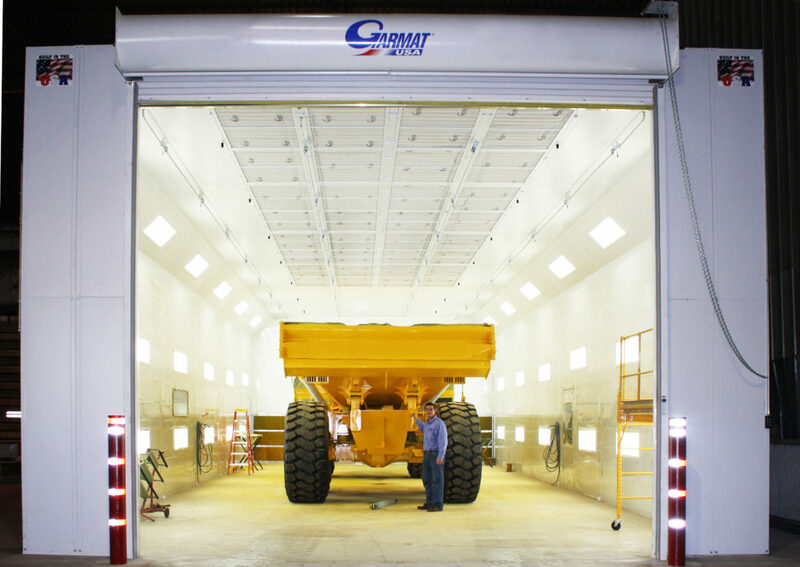 If you are in the business of painting large vehicles like Busses, RV’s and large commercial trucks but want an automotive quality finish, obviously you are going to need a large booth. Not every booth manufacturer is capable of providing you with a booth that can accommodate your needs and still provide the airflow, lighting, options and service that you desire. Standard sizes from 35’ to 70’ in length, with widths and heights starting at 16’. Custom sizes are available. Although full downdraft capability is often desirable, pit-less versions are offered in Single or Double Skin fully insulated cabins. 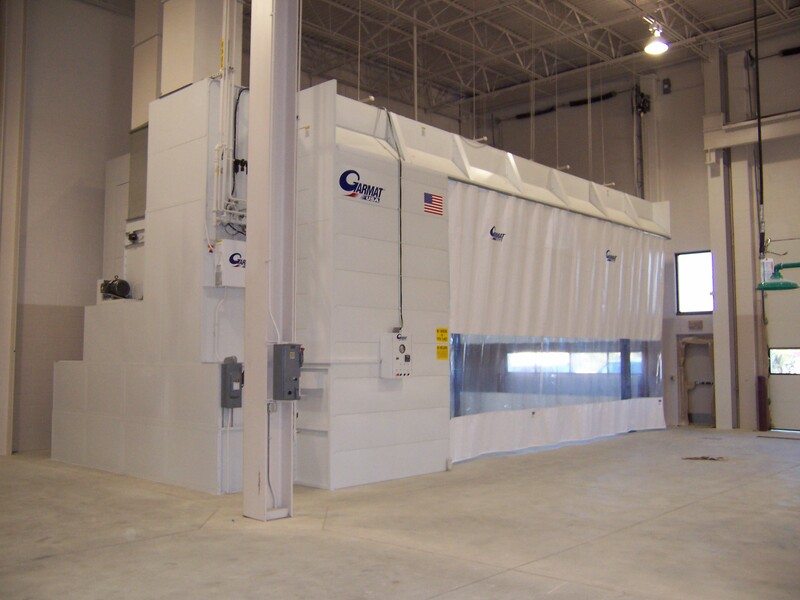 As with all Garmat USA equipment, our Industrial line provides the latest technology in a safe and efficient working environment for your refinish facility. All custom booths are ETL Listed.